Aries offers a comprehensive line of cleaners for food and beverage. Aries brings diverse industry expertise to provide programs that control cost, maintain food safety and have positive environmental impact. 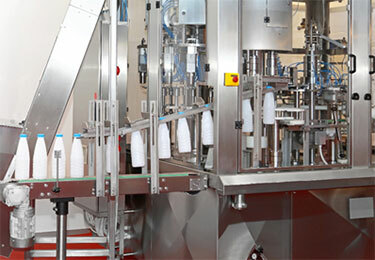 Aries has the right cleaning and sanitization solutions for the food and beverage industry including food, dairy, baking, meat, poultry, brewing, beverage manufacturing, fruit and vegetables, bottled water and eggs. 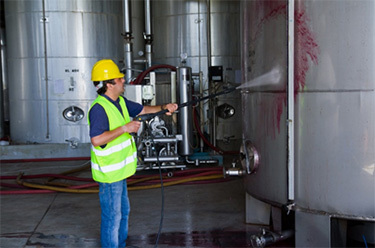 Aries technical sales group is trained to tailor our recommendations to optimize your cleaning and sanitization needs. They work closely with Aries field and laboratory technical experts to develop the best program for your needs. Aries can develop customized programs using our proven processes and products. Aries sales and technical group can share best practices, provide troubleshooting and training. We can help you develop and build cleaning and sanitation programs that make certain your facility complies with government inspectors and third party auditors.